It is therefore really important to know where the pest is and how quickly its numbers are increasing. 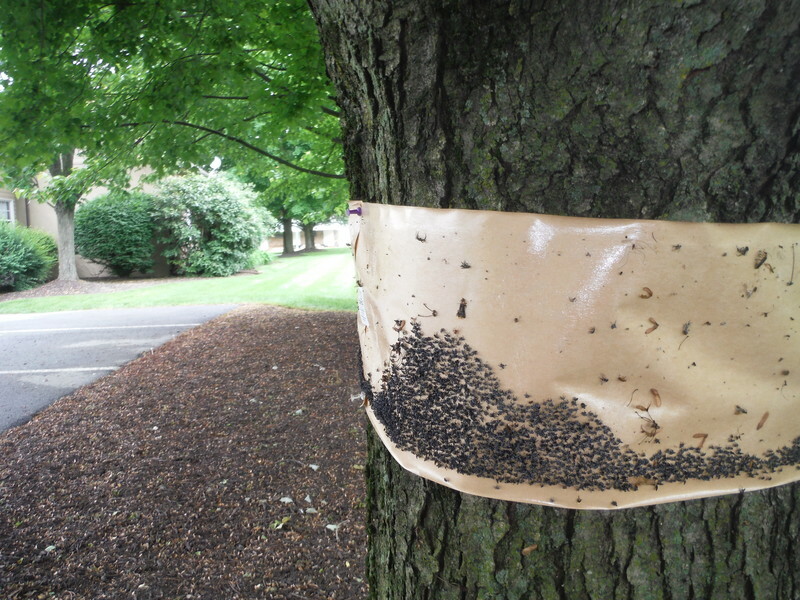 The main way authorities like the Pennsylvania Department of Agriculture do this is by placing sticky bands on trees and the pest insect gets caught as it climbs upwards to feed. Then dedicated and hardworking individuals go around and count the numbers of insects. You can see what that looks like below. There may be thousands of insects on one band and the workers have as many as 30 bands they have to check!! 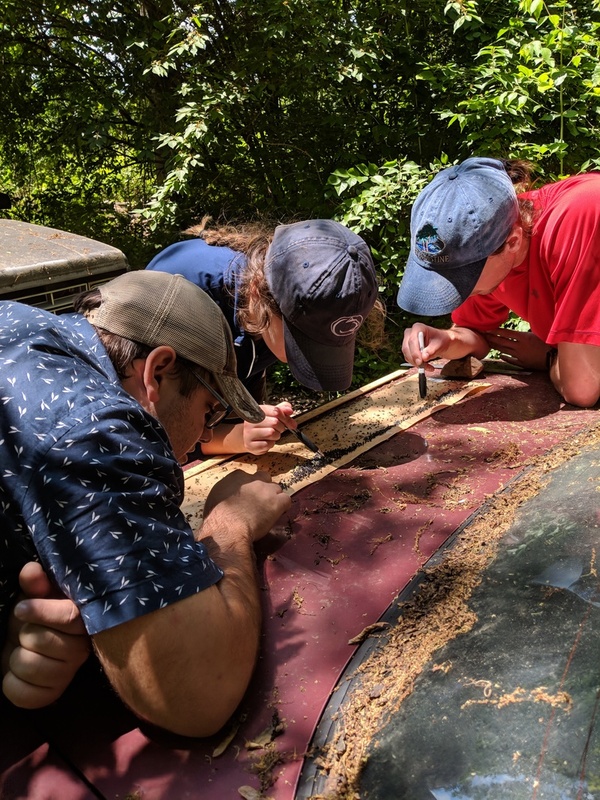 This week Annalyse Kehs (a Penn State undergraduate in Ag Engineering, blue cap with PSU logo) and Pete McCloskey (PlantVillage engineer, blue cap) went down to the quarantine zone to collect images and data and talk to the people setting up the bands. Lots of work for us to do but we are confident that we can produce a tool that will help out these good people trying to combat a pretty nasty pest.